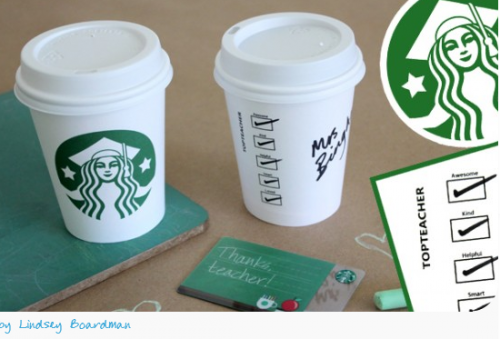 This is obviously not a new idea by any means but if you are struggling to think of a teacher gift idea, Starbucks gift cards are usually a pretty safe bet. I have never been a teacher myself but I can imagine they tend to get lots of stuff (and I am sure they appreciate everything) but I am sure most people especially like gift cards. 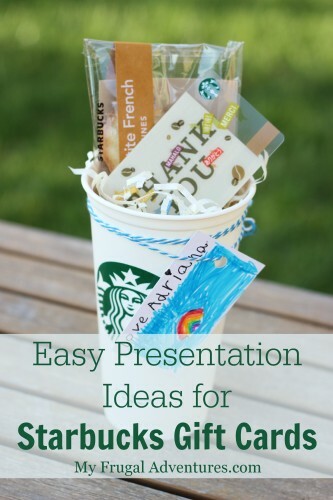 I wanted to post a few different ideas for presenting these gift cards that are easy, inexpensive and take just a few minutes of time to put together. 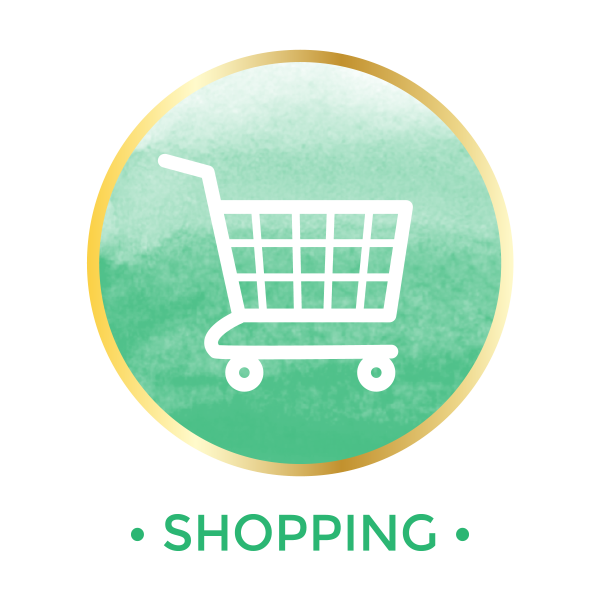 I give gift cards frequently as gifts and I always like to actually give the gift cards with some other little something so I feel like I have given an actual gift. Not just an envelope with a card. Why not grab a Latte in the morning and maybe a treat (Banana Bread is our favorite) and take that to school on Teacher Appreciation Day? I actually like to do this the day before just in case someone else has the same idea. (This year it is officially on Tuesday 7th so you might consider this for Friday or Monday morning would be perfect). Update: For 2014, Teacher Appreciation week is May 5-9. I used a little envelope to tuck the gift card in and just added a sticker from my girls. I used a paperclip to attach the gift card right on the bag. I know I LOVE it when people bring me little treats and what could be better then a nice warm drink to get through the day? Nothing like immediate gratification. Starbucks is offers reusable cups for just $1.00. 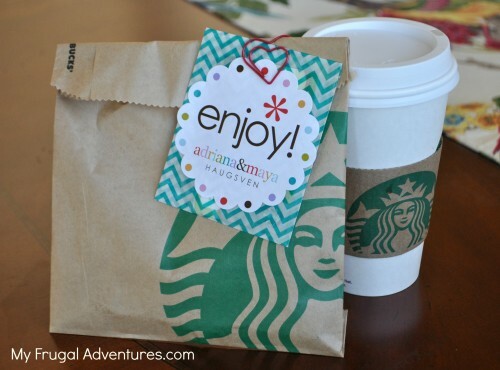 I added some basket filler and a little treat from Starbucks (Madeline cookies) and the gift card. My little girl colored a note card and I tied it on with twine. Simple and cute! You can put this inside a cellophane bag and tuck the lid behind the cup if you want to keep it open or just close the cup with the lid on to present it. 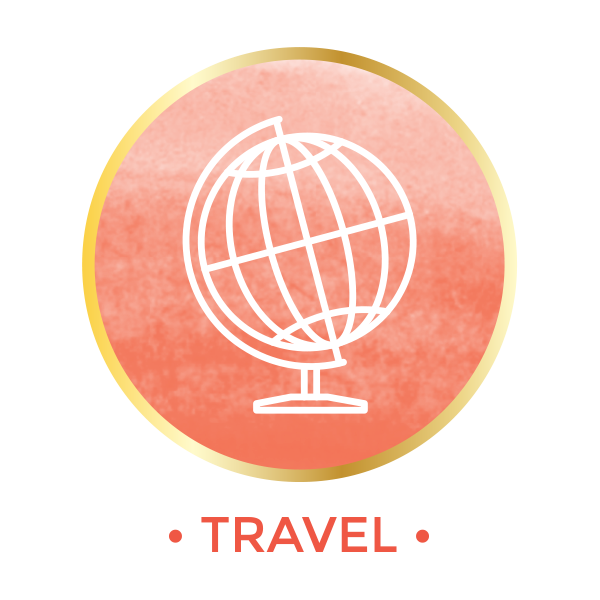 And here is another version of the same idea. I asked for an empty Frappuccino cup at my Starbucks. I cut a piece of brown paper from a roll of painter’s paper that I have from Lowe’s. We use it to cover the floors when we paint and it is super handy to wrap flowers in as gifts or I often like to wrap packages in plain brown paper that can be dressed up with ribbon. Target also sells Spritz wrapping paper mini rolls for $1.50 in this same brown color. Cut it down and trim to fit- place a few pieces of tape on the inside to hold the paper in place. 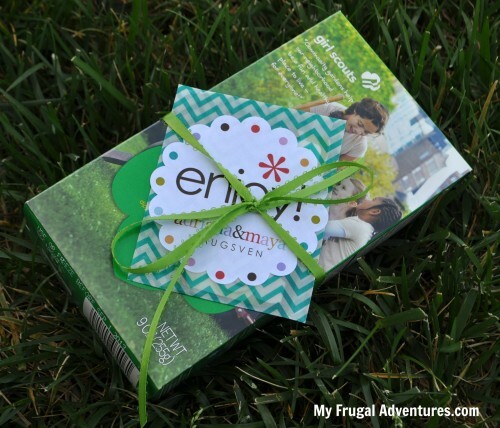 Stuff with the basket filler or tissue paper and tuck your gift card inside. Then take the dome lid and put your straw through the hole. Hold the straw and lid in your hand and form white tissue paper around the dome life. 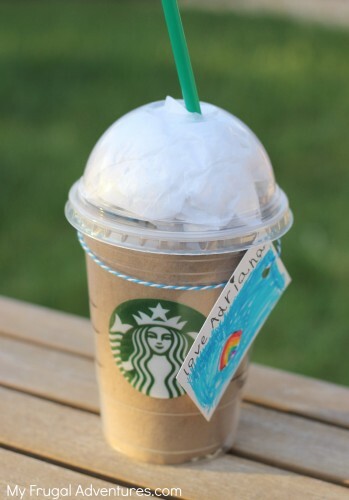 That will look like a Frappuccino and is a very cute way to present a gift card. It is hard to push the straw down and through the basket filler so I just trimmed the straw at the top. The Trader Joe’s Joe-Joe cookies are really yummy! 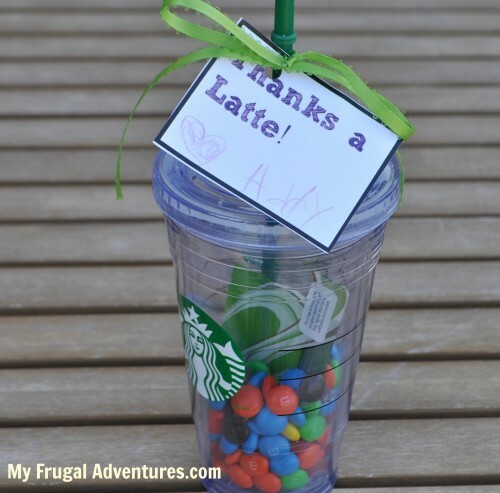 How about a cold cup filled with fun candies and a little gift card? Personally I love tumblers so even without the gift card it can be a nice little something that is also useful. I even have two little gift tags that you can download for free. 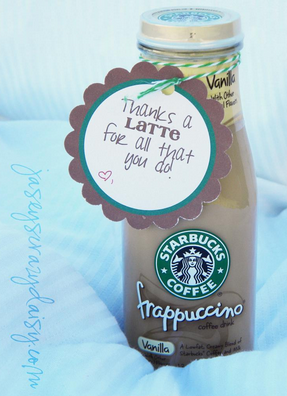 The first is the Thanks a Latte tag that I used above. I kept this one simple so that the little signature from your child would really stand out. That is the cutest part in my opinion and they can write a little something or draw a little picture. Download the free printable Thanks a Latte tag here. Here is an idea from Jasey’s Crazy Daisy. You can attach a tag around a Frappucino drink. 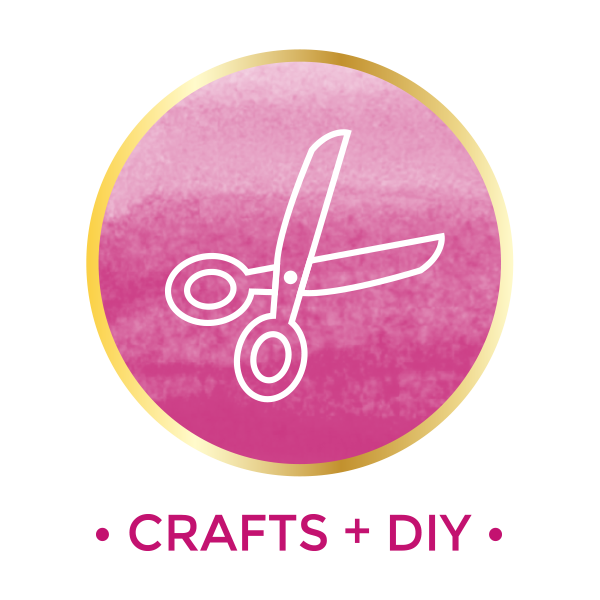 The little tag you see is also available as a free printable. And this is just incredibly cute and creative. Get a free printable custom cup sleeve. 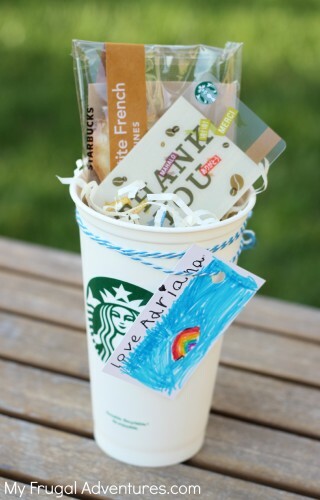 Get a tiny children’s cup and customize with the cute printable and tuck your gift card inside. The printable and the cute picture if from AlphaMom here. 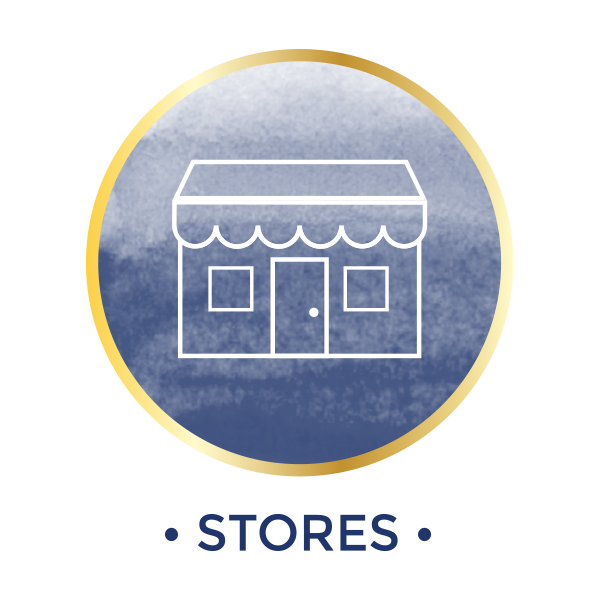 Does anyone else have fun ideas to present these gift cards? I’d love to see pictures of what you come up with! 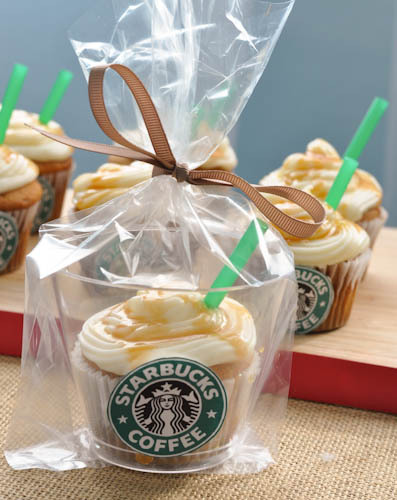 And if you are a Starbucks fan, check out these cute little Starbucks Salted Caramel Cupcakes! 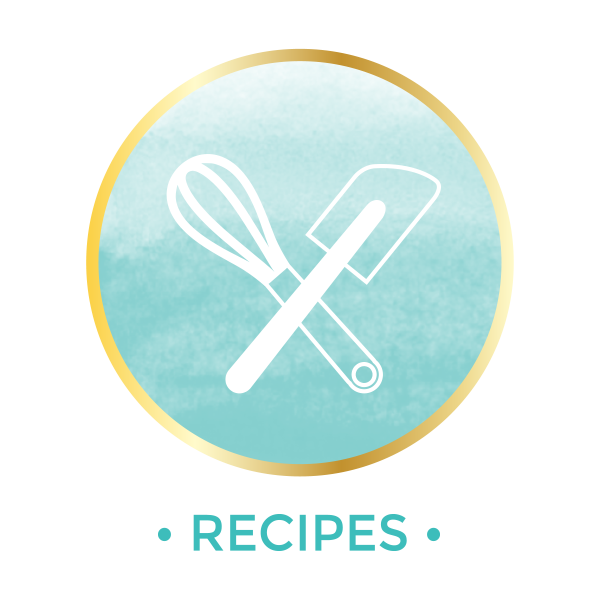 Super cute ideas, and really fast and easy 🙂 Thanks Charlene! Super cute ideas! I think I’ll bring my son’s teacher a latte and treat. Who doesn’t love that. Question about the reusable cups, what are they made of and is that for a limited time, like friday or something? Wondering if it was the ceramic ones I’ve seen also if I need to run and get one tomorrow. Thanks for all you do. Where did you get the labels? I love them! Thank you so much for the ideas! I grabbed a bunch of coffee-themed dollar spot items (on clearance) awhile back so I’ll combine those with some of the above suggestions. Thanks again! Holy moly! I love them all! Thanks for sharing. Going to share on my blog ASAP. You are so creative!! !